Today's Health Writer's Month topic is: 5 Challenges & 5 Small Victories. Make a list of the 5 most difficult parts of your health focus. Make another top 5 list for the little, good things (small victories) that keep you going. For the sake of having something to talk about, let's go with my inactive activism. My health, of course, impacts on that anyway. There's always a question as to how much of myself I put "out there". How vulnerable should I become? 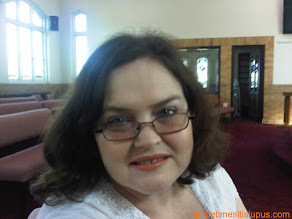 Honestly, I didn't think about it at first, I just sort of stumbled into blogging and social media. Then Pill Poppa, from Taking Pills 'n' Paying Bills mentioned that she was thinking of "coming out" and telling people who she was. At that point I started to wonder if sticking my name, my face (often without make-up - horror), and even my email address out there in the public was a good idea. Ultimately, though, I think it was. 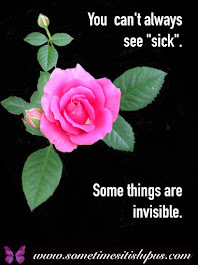 There's an issue with the days, and weeks, I just feel too sick. 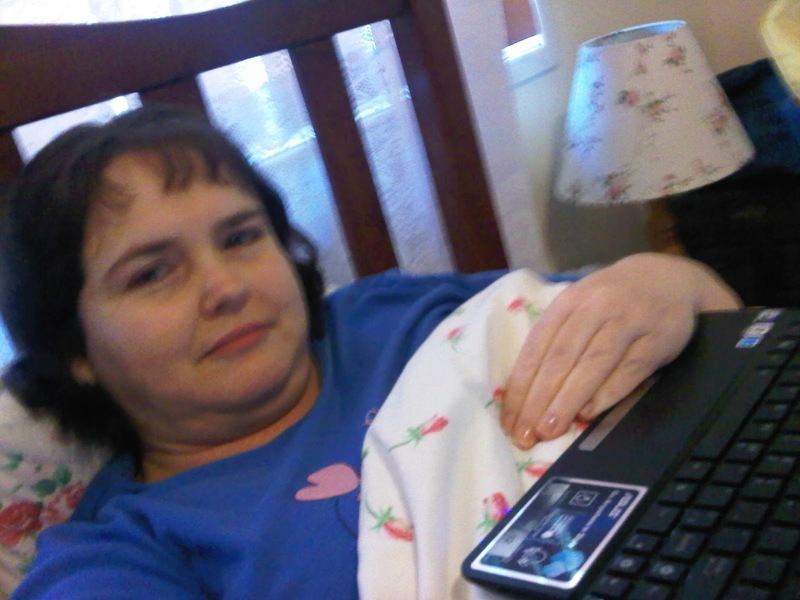 It helps a lot that I have my little netbook computer that I can use while lying in bed. (My amazing son did a lot of research finding the right computer for me. When the first one died, we bought another one almost identical!) Despite that, I do have a problem with consistently producing blog content. I have to try to balance this work that I hope one day will pay (but certainly doesn't now), with the actual ministry work I do in the real world, which I feel is also vitally important, and which does pay the rent. I have a sense of isolation. When I see conversations between activists in the USA on twitter - I realise that most of these people know each other face-to-face. I'm on the other half of the planet, and in all probability, will never meet my "colleagues". On the other hand, I've just made contact with the Lupus Association of Queensland on Facebook - and am really looking forward to meeting other local lupies at a barbecue for World Lupus Day. 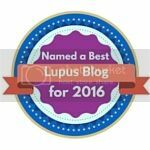 There was the challenge of expanding Sometimes, It Is Lupus to its own Facebook and Google Plus pages. 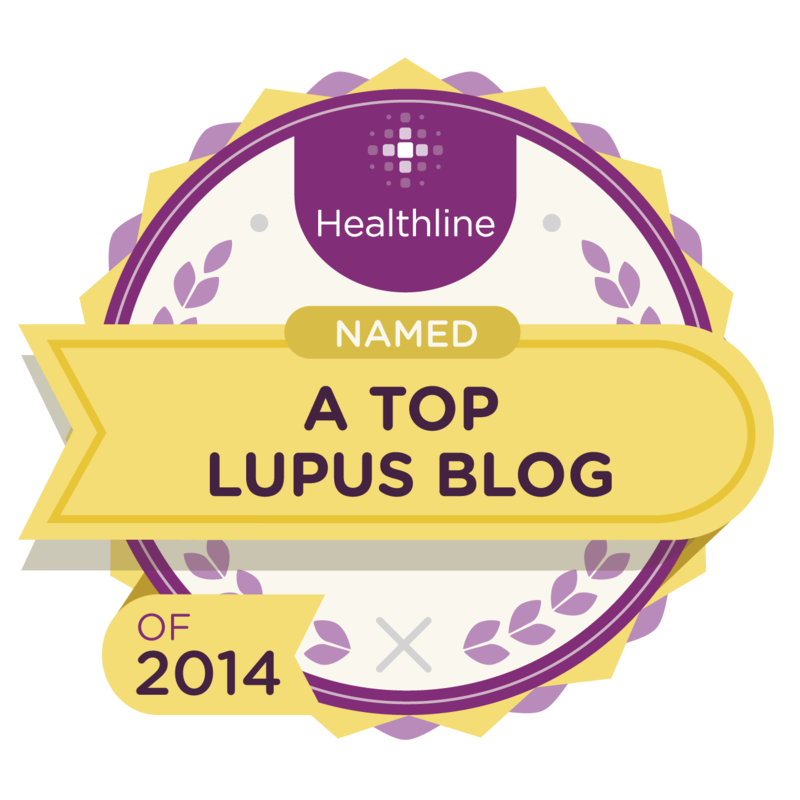 Each of these means creating that bit extra work for myself - but it also creates the possibility of spreading lupus awareness, and offering support to people with lupus, to a wider audience. The first time I felt I'd really done something worthwhile with this was when a friend who lectures in nursing told me she was recommending her students read my blog to find out what life was like from the point-of-view of the patient - and gave me a topic she'd particularly like me to write about for them. 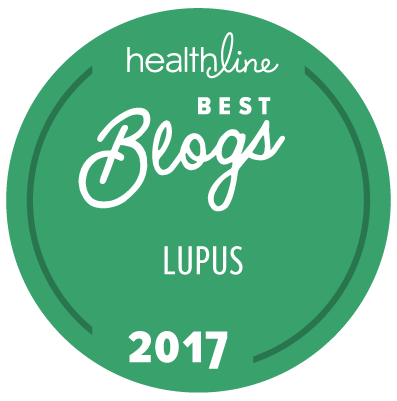 When I get feedback from other people with lupus, that says my blogging in some way helped them, that is a great incentive to keep going with what I do. 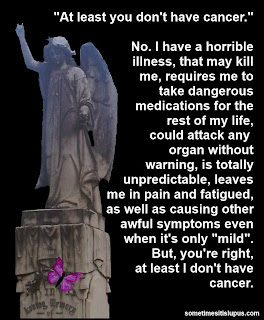 I recently had a lovely email from a lady who I don't know personally, who doesn't have a chronic illness, but who says she now understands something about what life is like for people living with lupus and similar conditions. 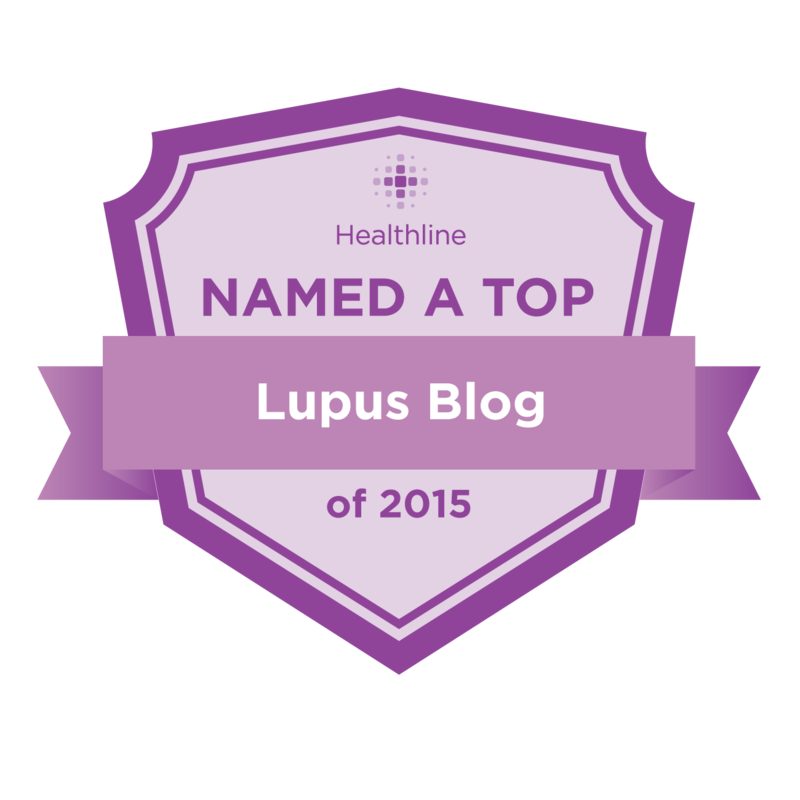 This was my original goal - to build awareness among people who don't have lupus. The first time I passed 2000 page views in a month and I realised someone somewhere was actually reading. 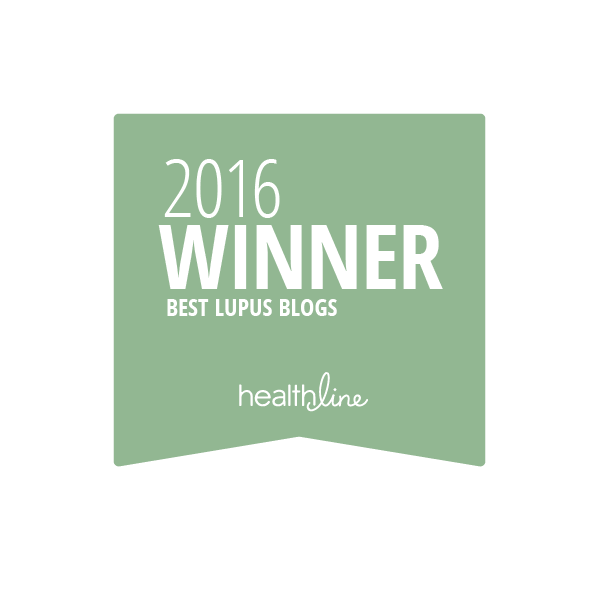 Finding I'm becoming part of an amazing on-line network of people with lupus, with other chronic illnesses, who throughout the world offer each other support and encouragement. 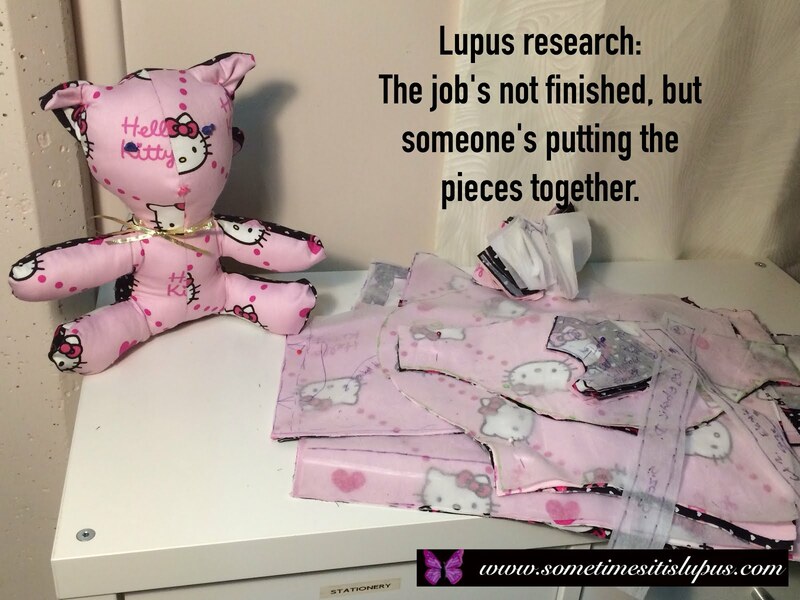 Sometimes, It Is Lupus is still less than a year old. I have no idea what its future will be, whether my challenges or little victories to date will ever make any real difference to anything. 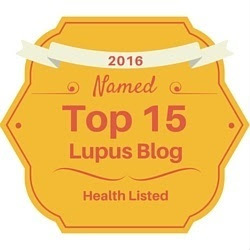 For now, I will keep making my little bit of noise about lupus - and hope that I'm adding something worthwhile to the millions of words floating around the internet. 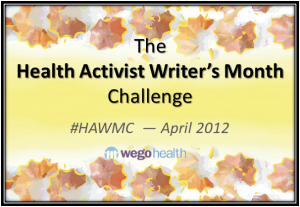 This post was written as part of Wego Health's Health Activist Writer's Month Challenge.